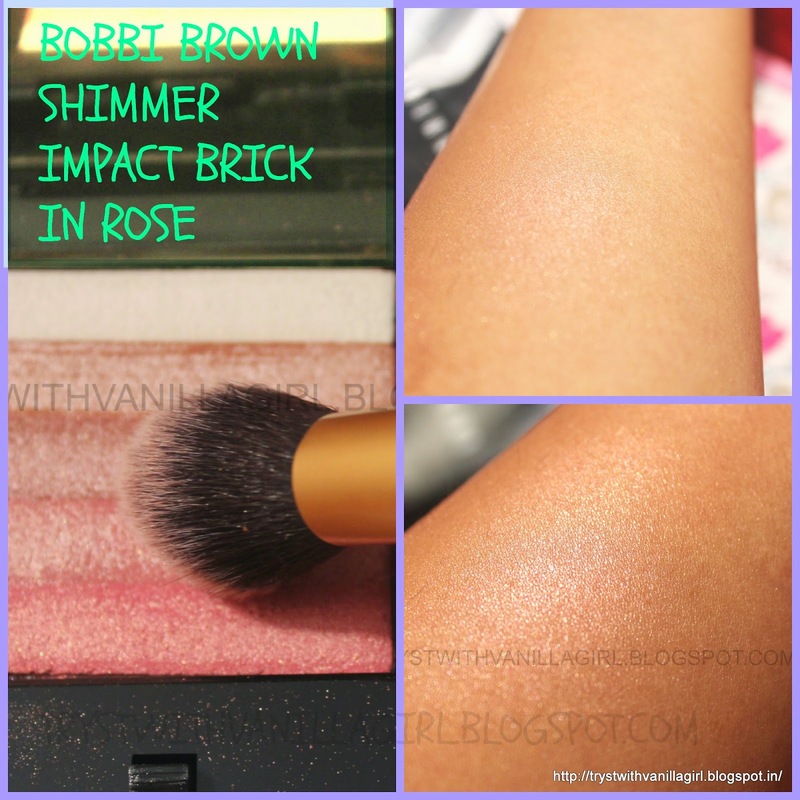 I am back today with yet another post of one of my Favorite Face Illuminator from Bobbi Brown.This is the only product I own right now from this brand. I have heard lot about its concealers and gel eyeliner. They are in cue to be tried next . Honestly I always wanted to have Bobbi Brown in my Vanity. 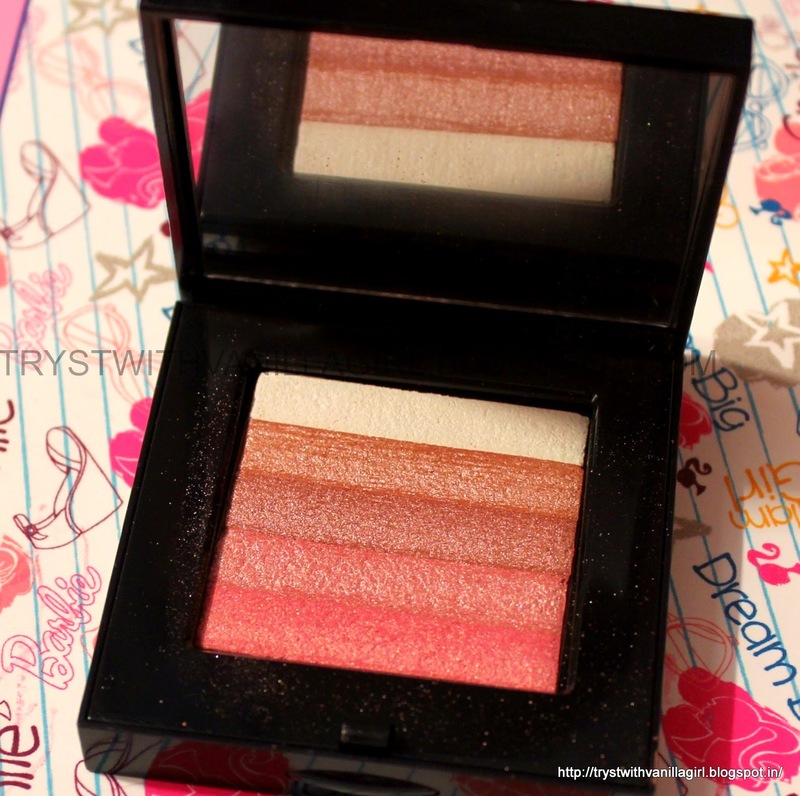 The moment I tried this shimmer brick compact I fell in love with it.So here is the review. 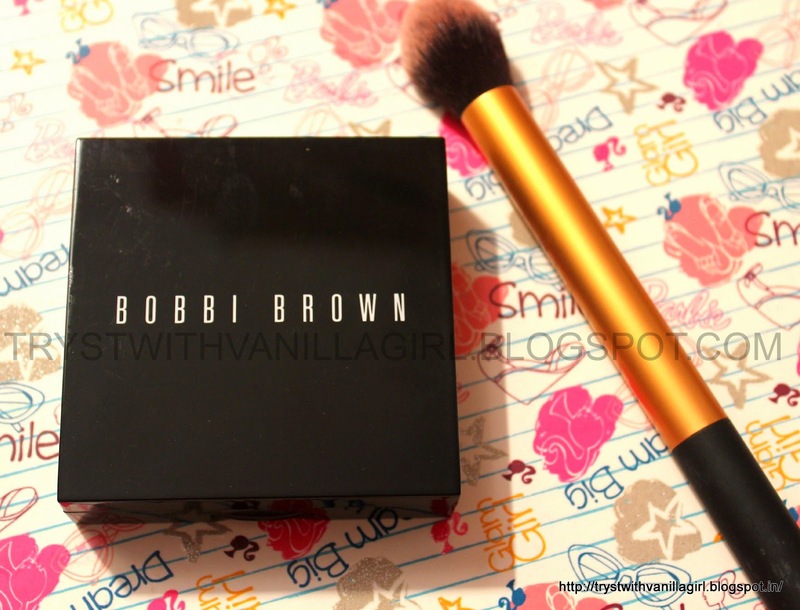 Bobbi Brown is a celebrated makeup artist who started her own makeup line. Bobbi Brown joined Estee Lauder Group of companies in 1995. TO APPLY:Sweep the Face Blender Brush through all five shades of Shimmer Brick Compact and dust lightly on cheekbones after blush. Focus on applying shimmer on the top of cheekbones - where light naturally hits the face - for the most flattering look. 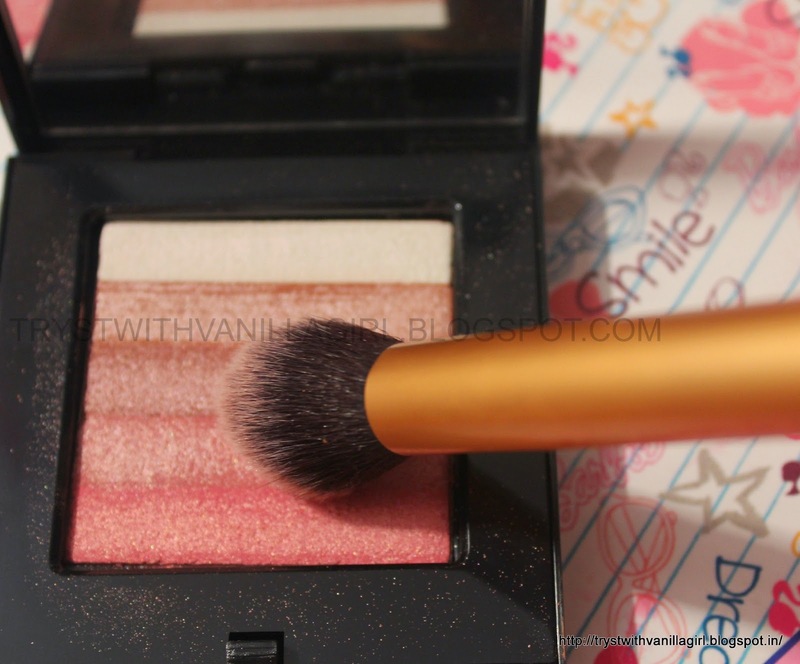 This shimmering, brush-on powder creates a soft rosy glow.Works well with pink,neutral and rose blush shades. 1.Packaging: I love the sturdy black box plastic packaging. Once opened You can see the mirror on one side and the product in the base compartment in form of five strips. 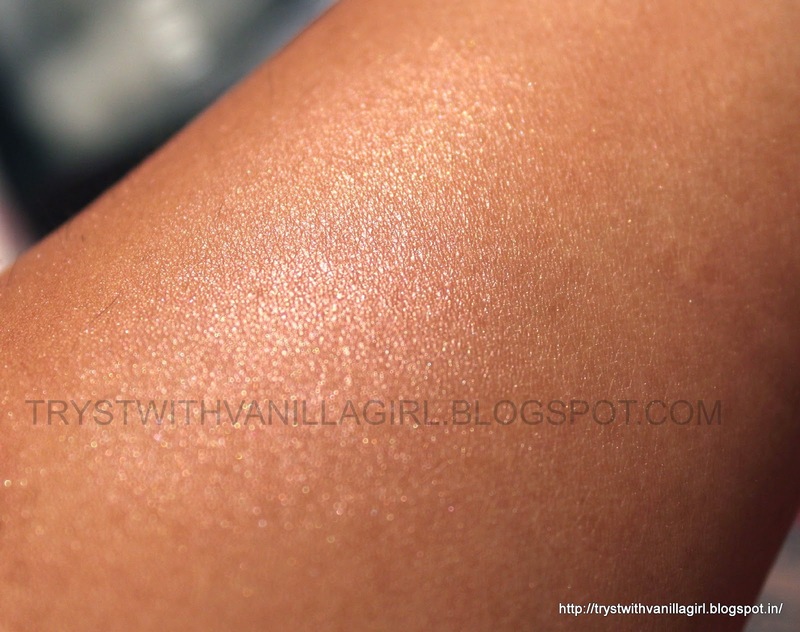 2.Texture: The product is supersoft and has very fine shimmer. 3.Colour: It gives the rosy glow on cheeks.Shimmer is not intense but just right to make your cheeks gleam in pink health. 4.Longevity: On me it stayed comfortably without losing its effect for 8 hrs.When the colour fades it leaves behind tiniest of shimmer particles which still reflect light from your face. 5.I use it with my blush brush from Real techniques. 6.Price:I bought it for 2400INR. 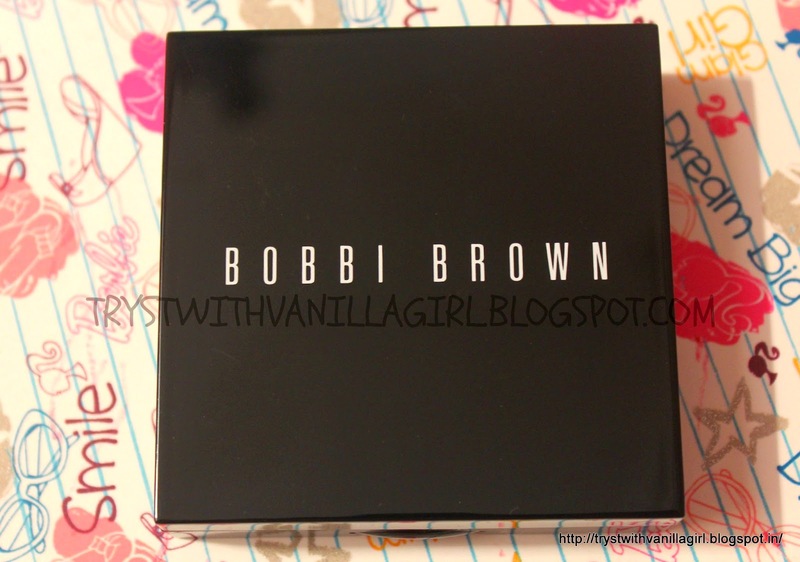 7.I bought it from a store in Chandigarh But now we have Bobbi Brown In Delhi. *Its effect is accentuated when it is used with pink blush.Here I used it on top of MAC DollyMix. 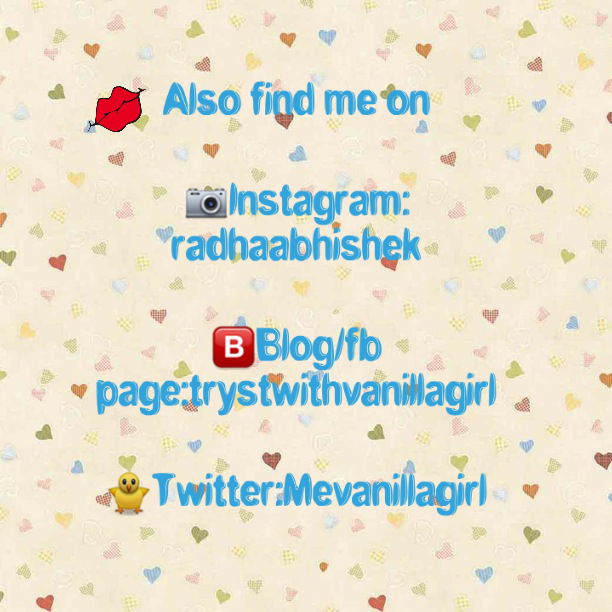 *You can use all the five colours together by swirling your brush on them or you can use each colour separately. *Always apply it On the highest prominence of your cheek bones from where the light reflects naturally. 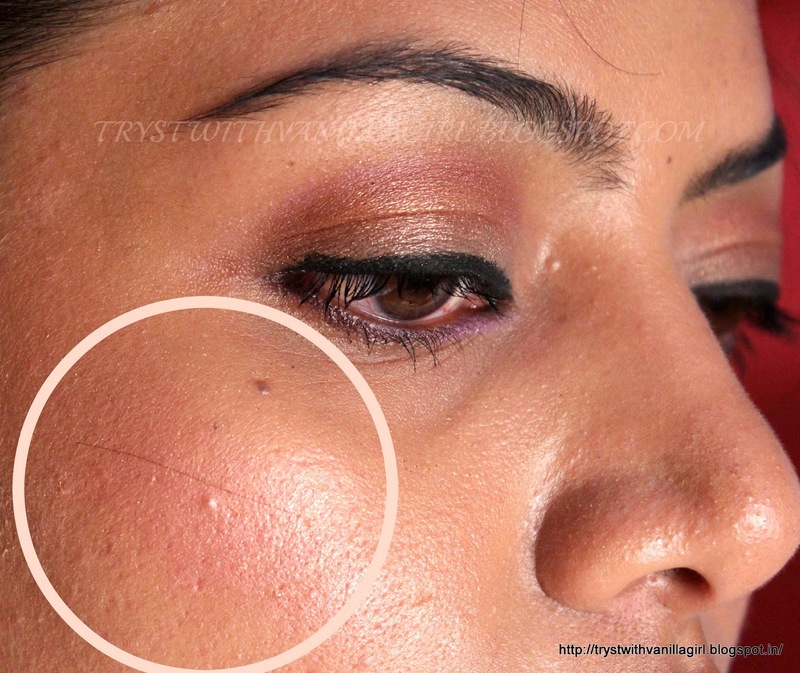 *It can also be used As a highlighter for browbone. I love this product.I think it is one of the best Makeup I own. 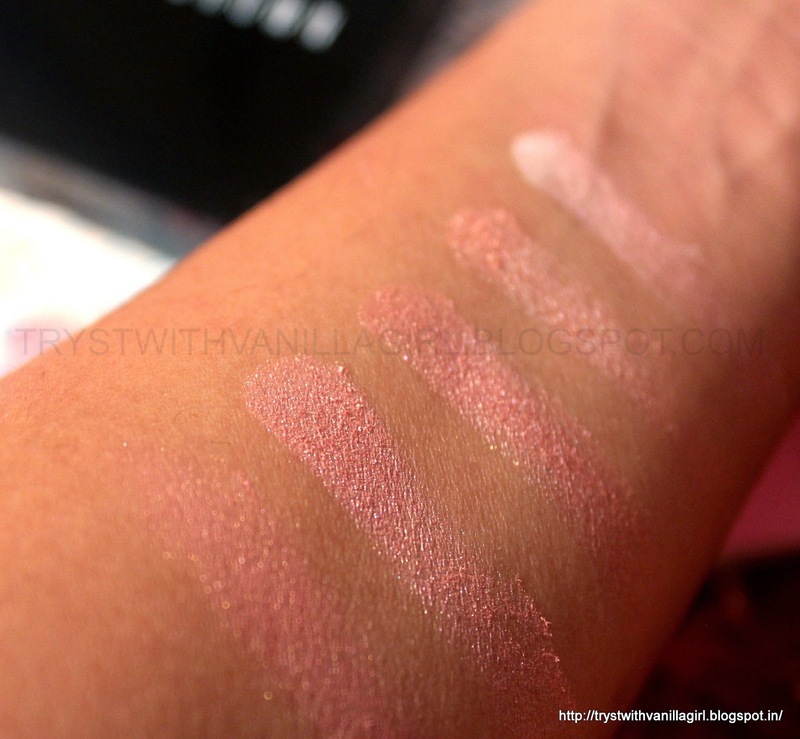 Which is your favorite product from Bobbi Brown?